Don’t want to read the background story and just want the font? Here’s the link to it on Creative Market! If you’ve ever spent any time with Randy, then you know he’s obsessed with fonts as well as old ghost towns and anything that is weathered. While his own font library is extensive, and he spends a fair amount of time (and money) looking for the perfect font(s) for our clients’ projects, deep down he’s always wanted to create some of his own. This past week or two he’s been in creative mode and working on our first release. 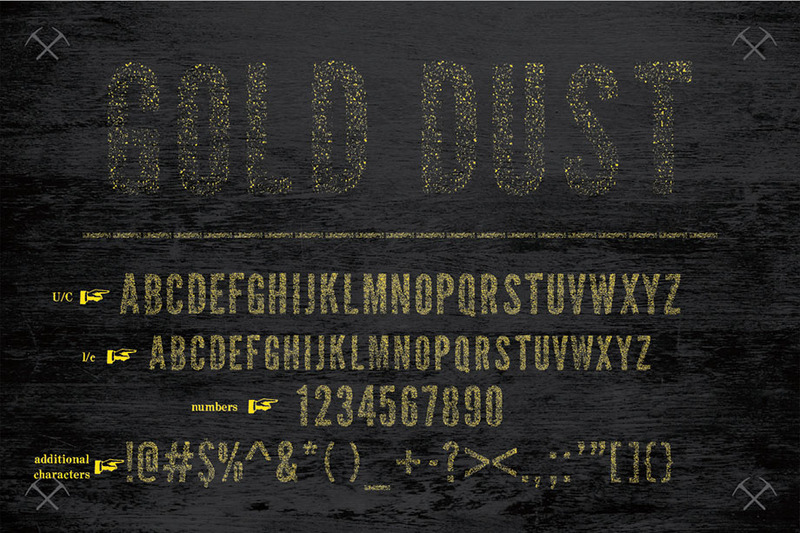 This worn-edge font is inspired by the old ghost town of Rhyolite, where Randy loved to photograph (you can visit the “desert” portion of his fine art site to see some of those photos). Rhyolite was a mining town that started in 1905 but quickly collapsed in 1908. The San Francisco Earthquake in 1906 and the Stock Market crash in 1907 made it difficult to raise investment capital thus causing this boom town to quickly collapse by 1911 after the stock of the Montgomery Shoshone Mine plummeted. 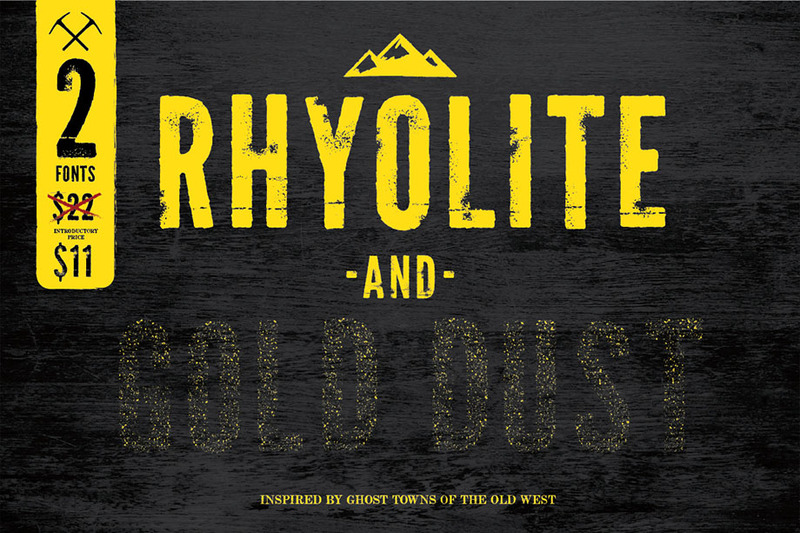 This quick rise and fall means today, Rhyolite’s few remaining walls are weathered wood, pock-marked sandstone and crumbling granite — hence the basis for this font. 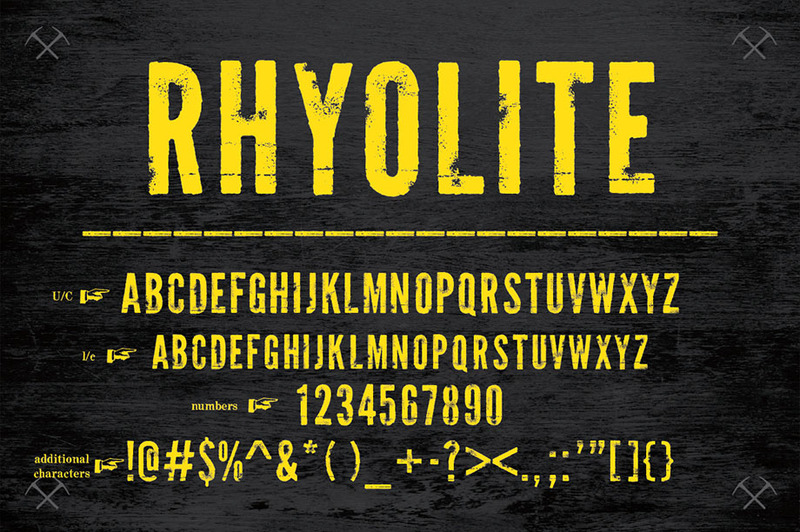 From the initial Rhyolite typeface came Gold Dust also inspired by those who mined the Bullfrog Hills. We are doing a limited time introductory offer of 50% off the combo pack until July 31st! You can find them here at our shop on Creative Market.